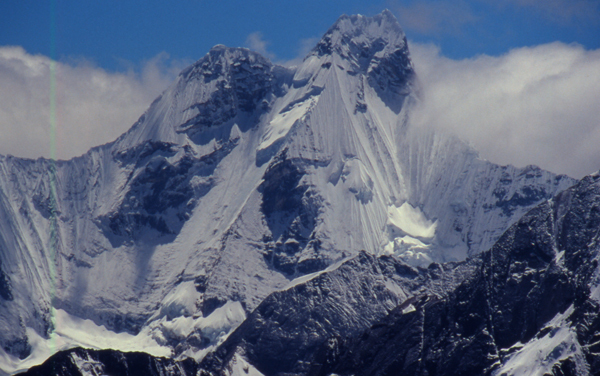 A large and very difficult peak in the Cordillera Huayhuash. 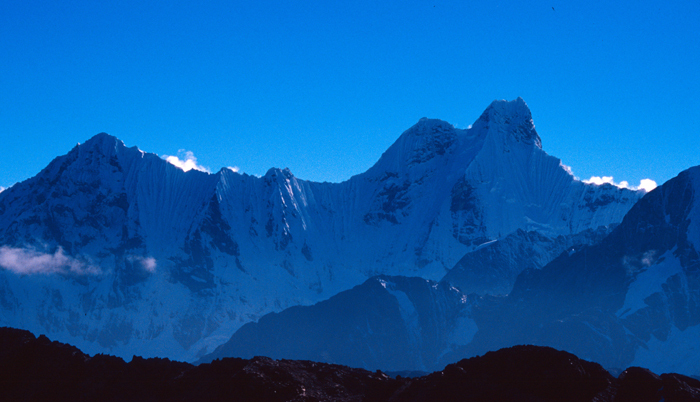 Jirishanca from the high camp on the Yerupaja glacier, to the southwest. We organise guided treks and ascents in the Cordillera Huayhuash, though fortunately not all of the peaks are as difficult as Jirishanca. See our Huayhuash Trek and Climbs dossier for more details. For details of how to climb peaks in the Cordillera Huayhuash, please see our guidebooks, which are available in English, Spanish, Polish and French editions, direct from us or from all good bookshops and mountaineering shops.